Hair Removal Treatment - Precious Moments Salon Coulsdon. Hair Removal Treatment at our beauty salon in Coulsdon Surrey. Male and female hair removal. Worried about the embarrassment caused by unwanted hair and the associated problems such as ingrowing hairs, rashes and sore skin? We are confident we can offer you the perfect solution for unwanted hair. Our beauty therapists offer a free consultation to assess the best way we can help you with hair removal treatments, so feel free to pop in to our beauty salon in Coulsdon. Costs vary for each type of hair removal but whichever treatment you opt for, you can be sure that it will be very competitively priced. 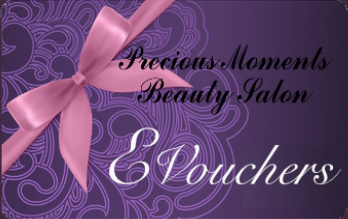 Precious Moments Beauty Salon in Coulsdon are experts in body and intimate waxing for both men and women. Waxing any part of the body – legs, arms, back, underarm or bikini is our specialty. Waxing is a relatively painless, semi-permanent, hair removal method leaving you hair free for up to 4 weeks! Hot waxing is a preferred hair removal treatment by many of our clients and is suited to sensitive skin and known to reduce ingrowing hairs. Our beauty therapists are trained to the highest standard and specialise in Brazilian and Hollywood hot waxing and you can be assured that you’re in safe hands and will be happy with the results. Threading is a very precise hair removal treatment which allows control when shaping brows to ensure perfectly sculpted eyebrows. A cotton thread is used to glide and roll across the skin, removing the entire hair from the follicle while it does so. The results last from 4 to 6 weeks are wonderfully neat and perfectly symmetrical eyebrows which can take years off your face. Man grooming or manscaping, whatever you prefer to call it, is a fast growing sector for grooming for men who want to take care of their body and appearance. Precious Moment Beauty Salon in Coulsdon provide an environment where men can feel comfortable, while enjoying their hair removal treatment.